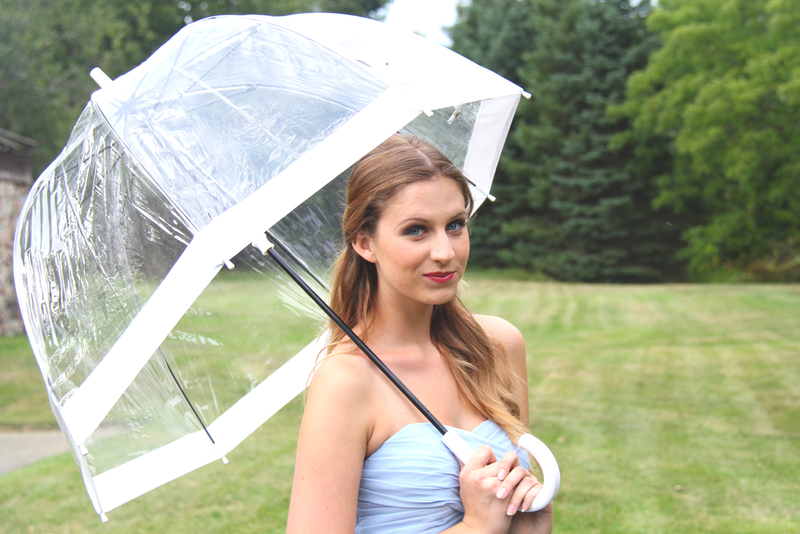 White Umbrella Co. is Toronto's wedding umbrella delivery service. You need pretty umbrellas in a hurry. We can help! White Umbrella Co. delivers white umbrellas and clear umbrellas within the Greater Toronto Area with rush shipping. We know couples are busy running a myriad of errands and don't have time to shop around for nice umbrellas days before the wedding day. That's why we ship our curated and high quality wedding umbrellas directly to your door. Our umbrellas come with free 2-day shipping by courier for peace of mind. Rush same day shipping can be available as well. Choose from our popular umbrella styles. All are neutral and will compliment your wedding photos, whether you are in an urban or garden setting. Order your umbrellas in our easy to use online system. If it is available online, it means it is in stock. Our courier will deliver your umbrella to your doorstep. A confirmation email will be sent once it is on its way. Simply sit back and relax. It is! We want it to be easy. Order your umbrellas today. Thanks so much. Appreciate your fast service and what a brilliant business with beautiful products! Thank you for your fast and efficient service! Thanks so much for your phenomenal service!